A hike up Table Mountain, the floral fantasy of Kirstenbosch Botanical Gardens, watching sunset from Signal Hill, enjoying the passing parade of people from all over the world at the V&A Waterfront, the stunning views from Cape Point and Chapman’s Peak Drive – these are among the many incredible experiences iconic to Cape Town, South Africa. But Cape Town is also fast becoming the world’s newest hot spot in the art world. For art aficionados, there are now new experiences beyond the MOMA (Museum of Modern Art, New York), the Tate Modern in London, or the Louvre in Paris. Africa is finding its feet among the art capitals of the world – and it’s not just the traditional craft work that most people associate with the continent. “As with so many other forms of cultural expression, the art from Africa depicts the human experience of this region,” explains Avukile Mabombo, a Cape Town local who is the Group Marketing Manager for Protea Hotels by Marriott® and African Pride Hotels. “We are seeing the responses of people to our colonial history; the experience of racism and other forms of bigotry, both institutional and unofficial; and the clash of modern progress and traditional practices and cultures. 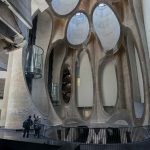 These are the elements that largely characterise the works of art to be seen in local art exhibitions, particularly in the two new additions to Cape Town’s art scene: the Zeitz Museum of Contemporary African Art (MOCAA) and the Norval Foundation Gallery. 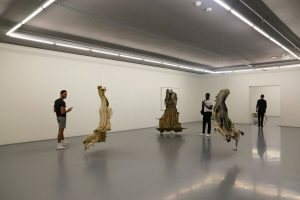 Zeitz Mocaa opened its doors to the pubic in September last year, while the Norval Foundation began welcoming visitors from the end of April this year. Both are galleries of international standard and showcase the work of artists recognised internationally as well as those with the potential to make their mark significantly on the world stage. Commentary on society and the pressures it puts on people abound in the works showcased by both galleries. Many of the installations will leave the visitor with troubled thoughts – this is art geared to make one think and to challenge one’s own perceptions. While Zeitz focuses on the contemporary in African art, the Norval collection incorporates a longer period. Its Re/discovery and Memory installation brings the works of talented artists from the 1950s to the public’s attention. Some of these were artists whose careers did not garner the notice they deserved at the time because of South Africa’s Apartheid system, which denied people of colour the attention they would otherwise have enjoyed. Sixty years later, South Africans are finally able to acknowledge the skill of sculptors and artists such as Sydney Khumalo and Ezrom Legae. This installation also focuses on the effects of migration arising from political events: Serge Alain Nitegeka’s life story of his flight from civil war in Burundi and genocide in Rwanda highlights the disruption caused by events beyond one’s control. Similarly, Edoardo Villa, an Italian prisoner-of-war who remained in South Africa after the Second World War and became a world-renowned sculptor, explained that, “I did not decide myself to come to South Africa, somebody else decided for me!” This decision was to change the course of Villa’s life and his artistic career. Both these leading galleries also offer something spectacular for those with an interest in architecture. The Zeitz Museum, Thomas Heatherwick’s brilliant conversion of a disused grain silo into Africa’s leading institution to house works from the continent on the continent, is of particular interest. The Norval Foundation building, which showcases one of the largest private art collections in South Africa, was designed to take account of the sensitive wetland bordering the ground it sits on. An integral part of the construction project was to create a sculpture garden between the building and the wetland, which is home to a colony of endangered Western Leopard Toads. The entire project serves as an example of the successful integration of construction development and the rehabilitation of damaged environmental spaces.